David Richardson believes that it is important to give back to the community he calls home. His involvement reflects his natural inclination to give back. From the beginning of his career, his commitment of time and financial support to many Vancouver Westside associations, clubs, organizations and events has helped shape the neighbourhoods in which he works and lives. His support is extensive and ongoing. On behalf of the staff, students and parents of Carnarvon Elementary School, I would like to thank David Richardson for his generous donation to help with the replacement of our playground. Carnarvon is a wonderful school in the heart of a vibrant community. 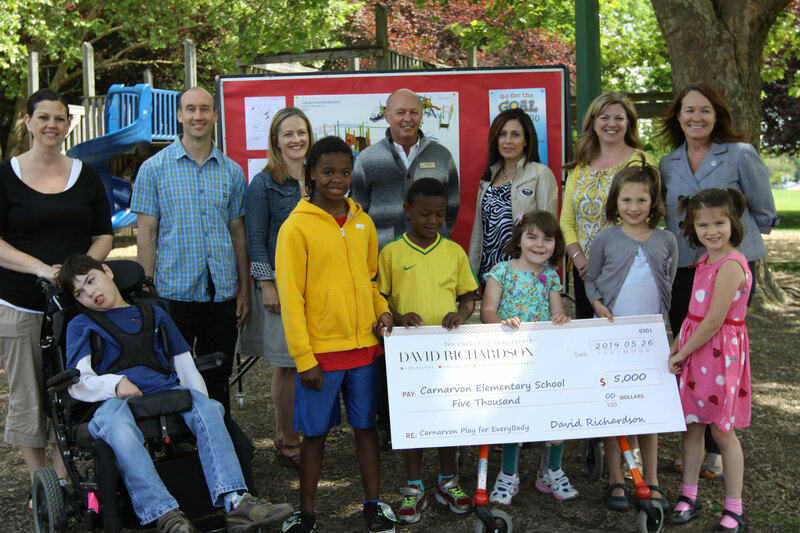 David’s donation has brought us one step closer to creating a play space for all of our children.